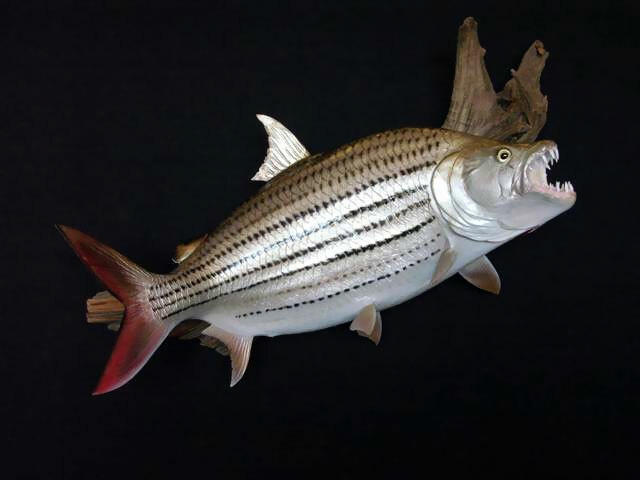 Several species belonging to the genus Hydrocynus of the family Alestidae are referred to as “tigerfish,” and are particularly prized as game fish. 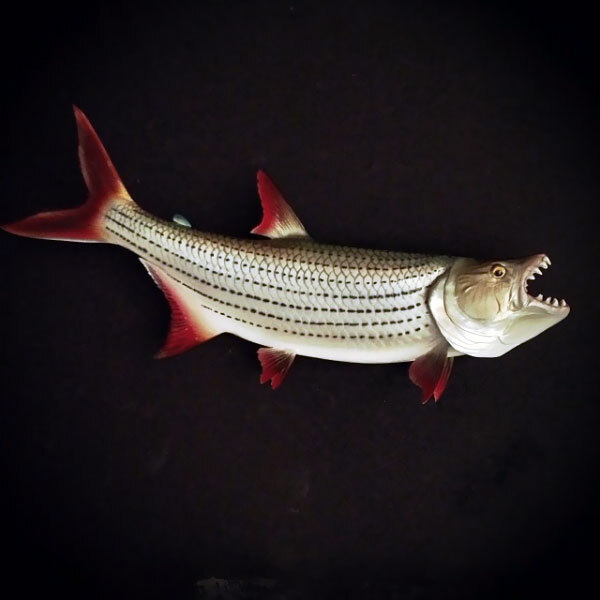 These African fish are found in many rivers and lakes on the continent and are fierce predators with distinctive, proportionally large teeth. 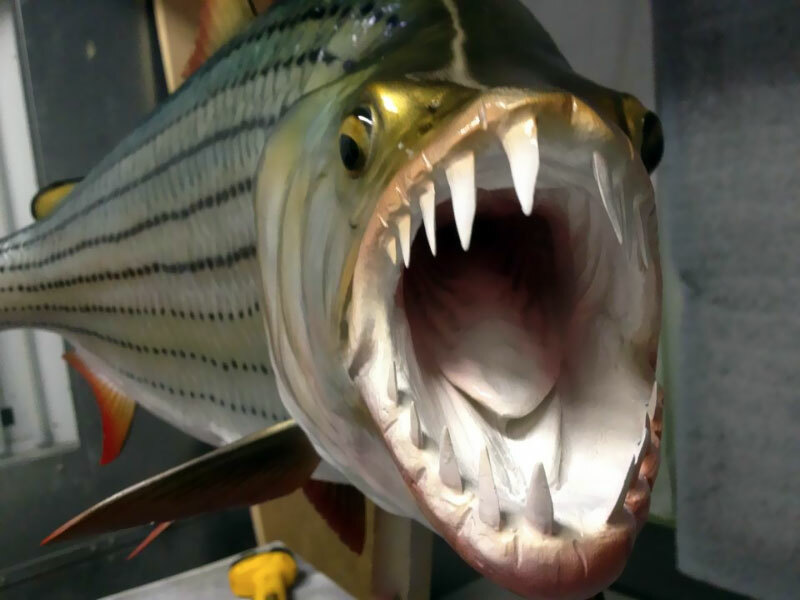 The goliath tigerfish (Hydrocynus goliath) is among the most famous tigerfish. It can reportedly reach an adult weight of over 150 pounds and is found in the Congo River system and Lake Tanganyika. It is the largest member of the Alestidae family. 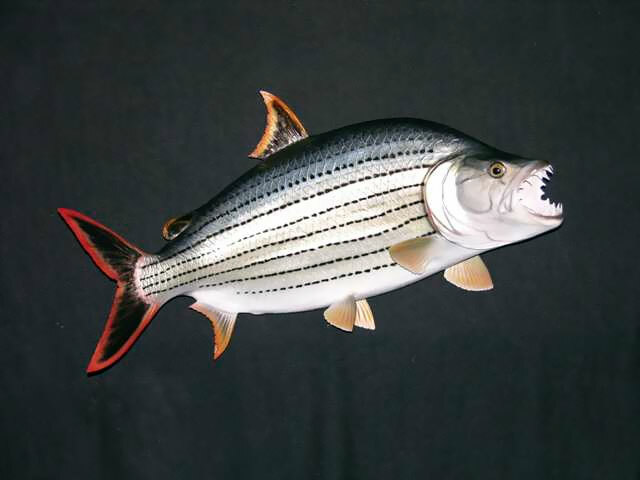 Another famous species, simply called the tigerfish (Hydrocynus vittatus), is commonly found in the southernly Okavango Delta, and the Zambezi River, and also in the two biggest lakes along the Zambezi, Lake Kariba in Zambia, Zimbabwe, and Cabora Bassa in Mozambique, and finally in the Jozini dam in South Africa. Both the goliath tigerfish and its smaller relative bear a striking resemblance, in appearance and habits, to the dorados of South America. 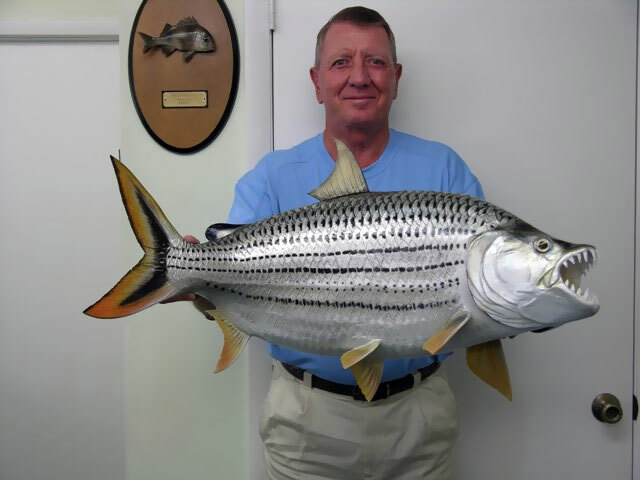 The African alestidae tigerfish species are silver, as opposed to the most famous species of Dorado, which is golden. Coincidentally, the Dorado is known as the “tigre del rio” (tiger of the river) in its homeland. (Although ‘tigre’ can refer to any predatory cat in this part of the world).